“In fact, I quietly declare war with the State, after my fashion, though I will still make what use and get what advantage of her I can, as is usual in such cases”. On Wednesday I took the train from Boston to Concord, Massachusetts to make a pilgrimage to Walden Pond where Henry David Thoreau made his experiment to see what he could learn from nature about living simply and deliberately. I thought I’d find a taxi to take me from the depot but there wasn’t any. From reading Walden Pond I remembered his woods were only a few miles from Concord and he’d walk to town to visit friends often – so I walked. The frozen pond, beautiful and snow white greeted me with the subterranean groans of ice beginning to heave that Thoreau described in his story. It was a perfect private time courtesy of the arctic cold of this winter. Heading back, I passed Brister Hill Road named for Brister Freeman who, after thirty-five years of enslavement claimed his freedom, having served two tours during the American Revolution. 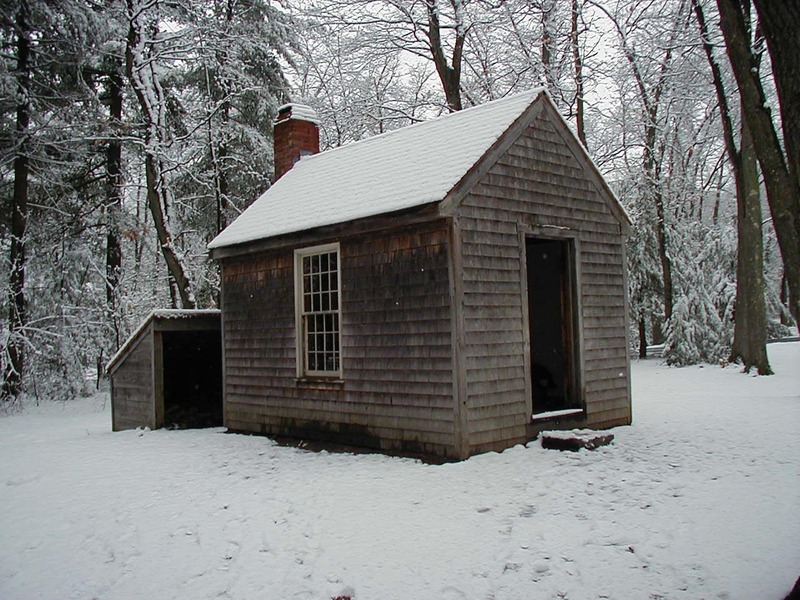 Prior to emancipation, Walden Woods held poor agricultural land inhabited by former slaves. Stories of these inhabitants certainly inspired Henry’s rare abolitionist beliefs. It was too late to catch the train back so I spent a couple hours walking around Concord. I got to see the grand homes he described his neighbors investing their lives in cultivating. Many had been enlarged and divvied up into apartments – their former occupants only ghosts in the town cemetery. The local library, proudly and lovingly, care for archival volumes of Thoreau and Emerson collections and thriving bookstores devote shelves to them. I was reminded only then of Thoreau’s book, On the Duty of Civil Disobedience. And how we can reject a wrong simply by refusing to participate.